Hope you all have a bit of fun out there today. 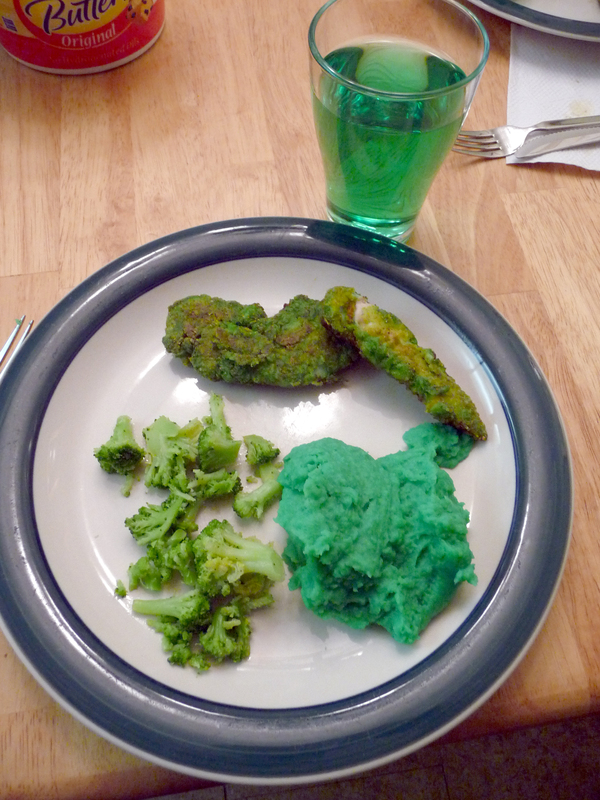 We’re having a green dinner. It may look a little gross, but it’s a tradition now. And it does taste good. The kids think it’s totally cool. This entry was posted in Holidays, Just for Fun and tagged st. patrick's day. Bookmark the permalink.